I hope you’re all well – I’m happy because we’re getting closer to Caturday! 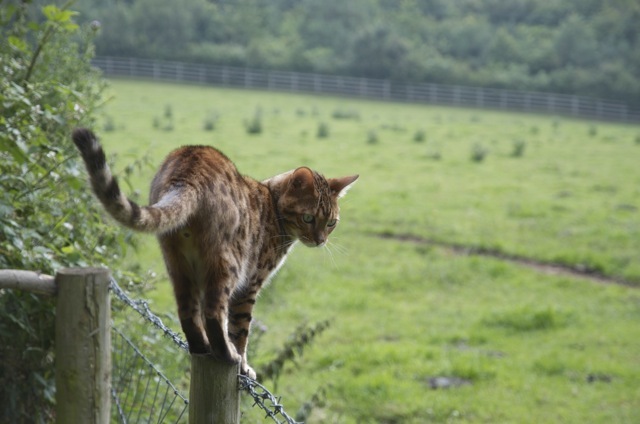 I thought I’d share some photos of all of us Bengal Cat World cats today! 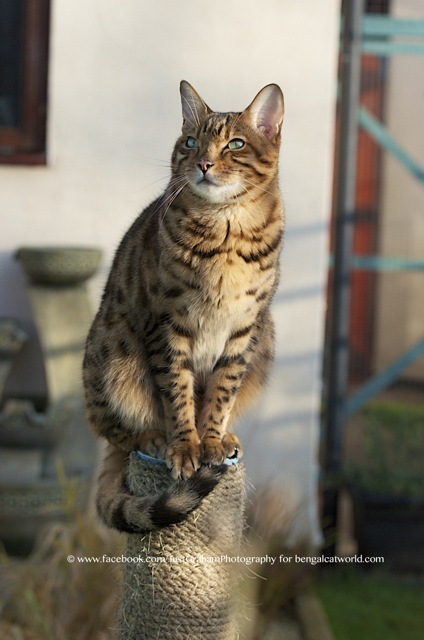 🙂 In case you don’t know, us two Bengals live with three domestic shorthair cats – Robbie, Harry and Friday! Together we all make up our mummy’s and daddy’s World! 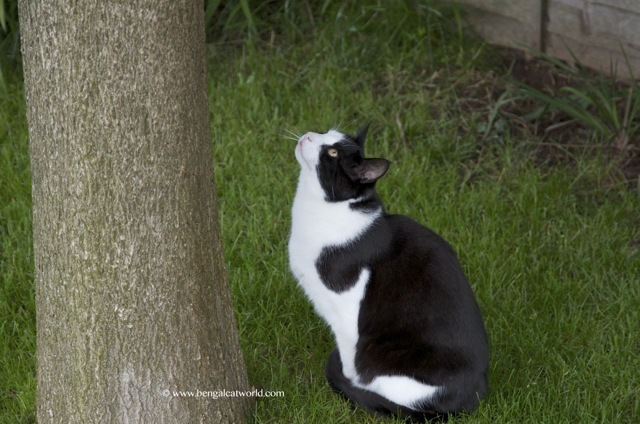 So I was wondering if there’s a common theme (other than food and yummy chicken cat treats) that we all enjoy…. and I decided to focus on climbing! It wasn’t difficult to find a few recent pics, and some from the archives too of us all off the ground in one form or another 🙂 I hope you enjoy them! Harry’s not quite off the ground, but he will be soon! 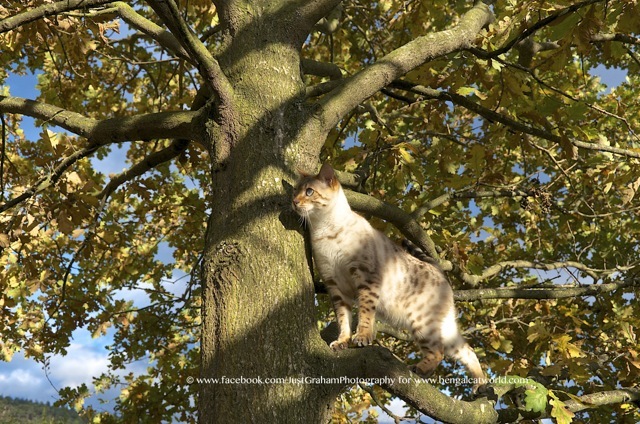 Lula loves climbing the big oak tree when she’s allowed! 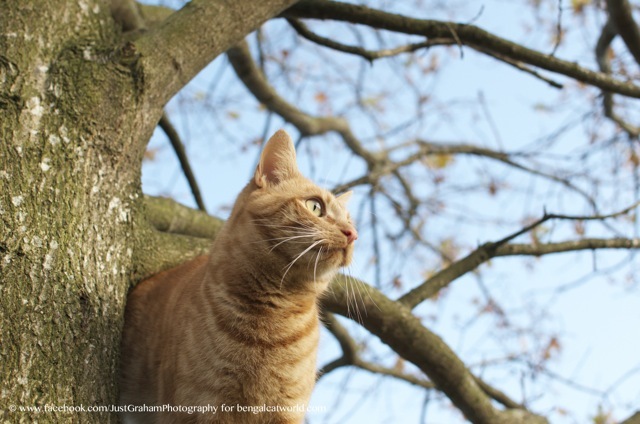 Robbie also loves getting a great view from the oak tree! 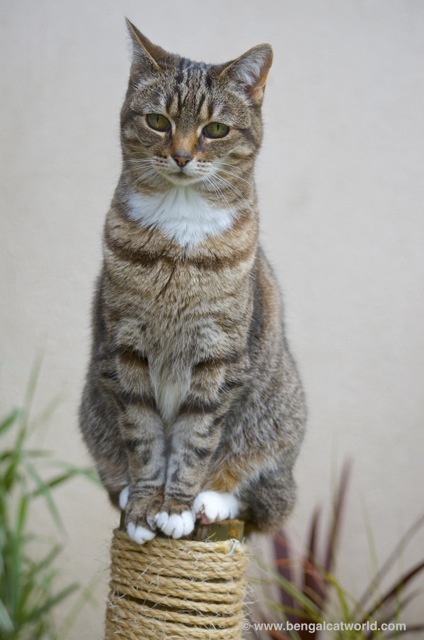 I also ponder life from the top of the scratch post! Do your cats have favourite things to climb too? 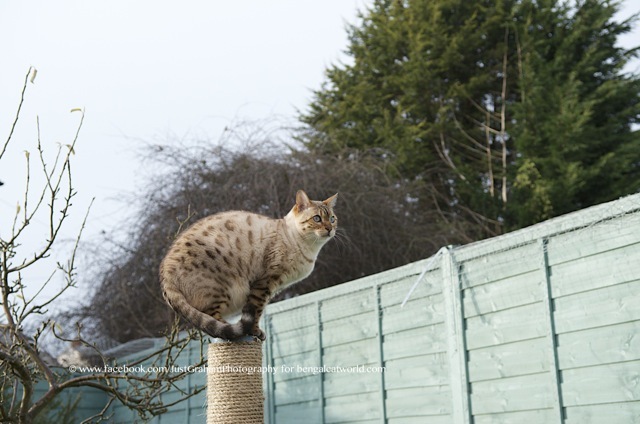 Previous PostTen reasons why you should own a Bengal CatNext PostWhat a lovely weekend! Mostly me, Spot! Henry tried to climb my leg yesterday… unfortunately, he weighs 15 pounds! Blee him :). Dixie likes to climb on the furniture! One of her favorite spots is on top of the recliner so she can look out the window for birds. Spot, I love you and Lula and think you are gorgeous, but, I have to tell you I just fell in love with your sister Friday. That pic of her sitting so neatly on top of the post is precious. She is a lovely kitth-girl, I hope you treat her well. Where did she get her name? What a happy ending to a scary story! I will think of her this Good Friday and every year. Her sweet face and eyes just spoke to me. I wish I could give he a cuddle, will you give her one for me, please?